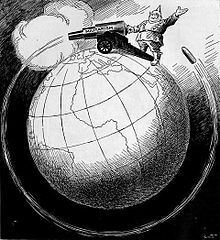 It Shoots Further Than He Dreams by John F. Knott, March 1918. (idiomatic) To receive as a reward or harvest in the same measure as one's exertions, in a good or a bad sense. To receive justice. For whatever a man is sowing, this he will also reap. "We will reap what we sow; live with what we do not act to change," he said. This page was last edited on 22 March 2019, at 18:34.